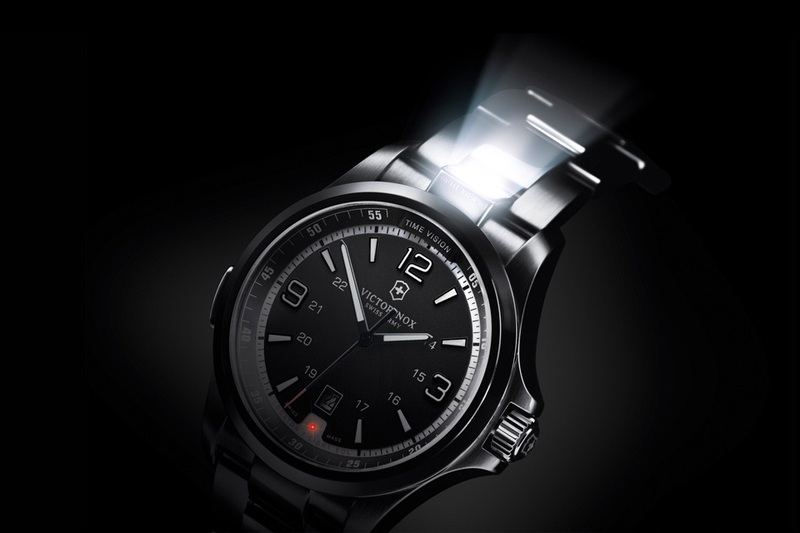 A Swiss styled stainless steel quartz watch for those who wish to have an adventurous look with executive personality, Victorinox Night Vision Watch is designed to light up the night vision with just a push button. That’s not all: pushing the control button 3 times, activates the emergency strobe mode therefore, flashing quickly for up to seven days. 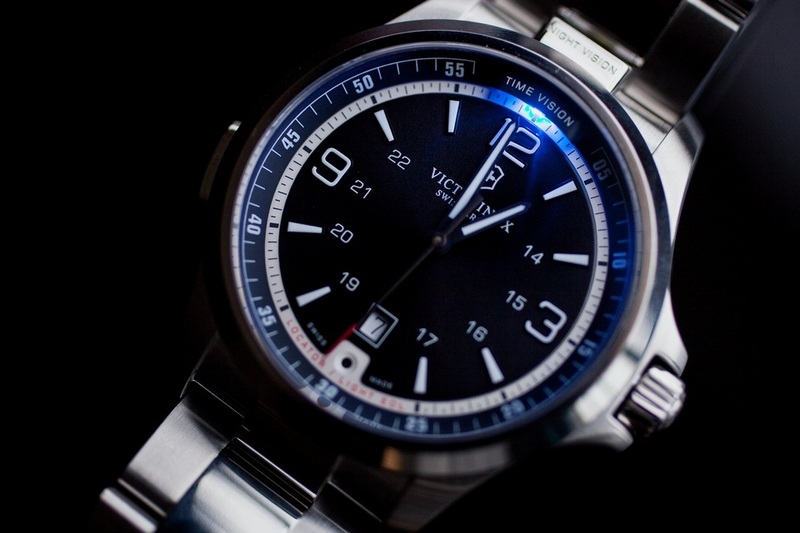 Another LED is available in the front to illuminate the face of the watch. The Swiss made stainless steel watch is entirely scratch resistant, triple coated anti-reflective sapphire crystal providing an unassuming experience.